The Pyramid Model is a conceptual framework of evidence-based practices for promoting young children’s healthy social and emotional development. 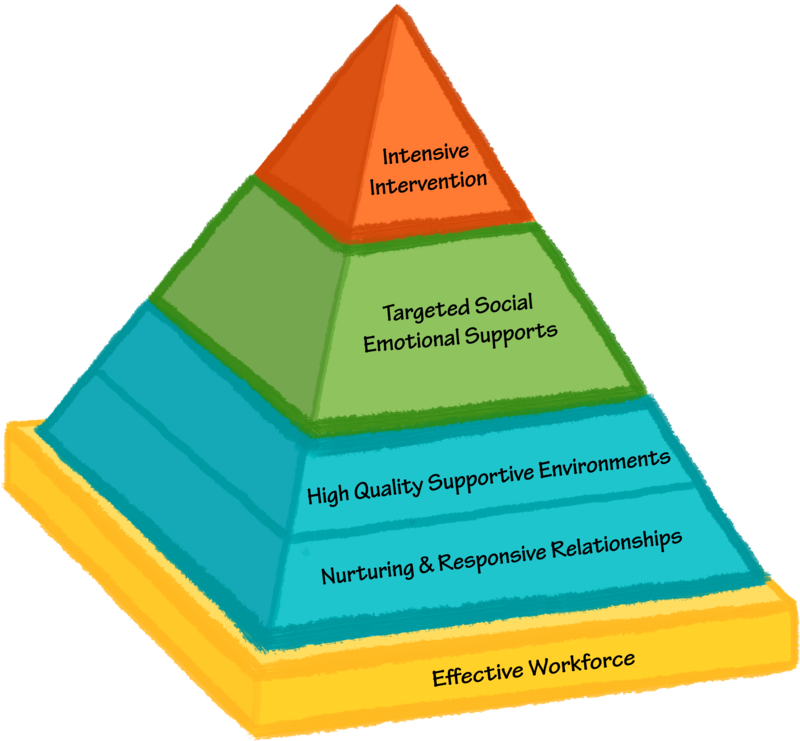 The Pyramid Model was developed by two national, federally-funded research and training centers: The Center for the Social and Emotional Foundations for Early Learning (CSEFEL) and Technical Assistance Center on Social Emotional Intervention for Youth Children (TACSEI). These centers’ faculty represent nationally recognized researchers and program developers in the areas of social skills and challenging behavior. It is our goal to provide states with the technical assistance and training to establish the systems and policies needed to adopt and sustain the implementation of the Pyramid Model. NCPMI is focused on the implementation of the Pyramid Model to promote the social, emotional, and behavioral outcomes of young children birth to five, address disparities in discipline practices, promote family engagement, use data for decision-making, and foster inclusion of children with, and at risk for, developmental delays and disabilities. Based on over a decade of evaluation data, the Pyramid Model has shown to be a sound framework for early care and education systems. Now let’s take a closer look at each level of the Pyramid Model.